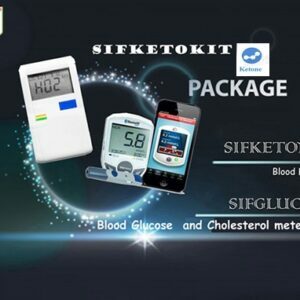 SIFSOF Blood ketone Meter is used to measure blood ketone using peripheral blood or vein blood by laypersons (most of them are affected by diabetes mellitus.) in home or by physician in hospital. As for diabetics, the energy is shortage when the body can not use glucose normally. The decomposition of fat increases to supply energyand a large amount of ketone is produced correspondingly in the body.It would cause metabolic acidosis or serious life-threatening if much of ketone is accumulated in the body. It is very important for diabetics to test ketone in irregular-time. 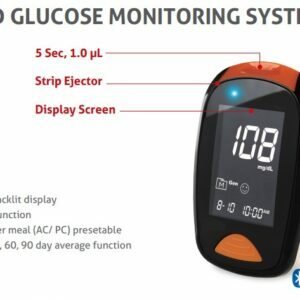 Not only that, some studies show that blood ketone of diabetics will be significantly increased before the rise of blood glucose levels, which may play the role of early warning for diabetes deterioration. blood Ketone level. 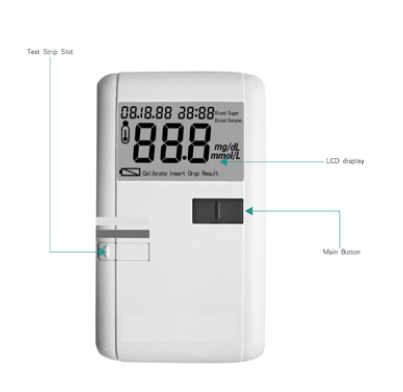 The meter then displays the level in units of mg/dl or mmol/l. oxidized to acetoacetate with the concomitant reduction of NAD t o NADH. current generated was directly proportional to theβ-HBA concentration. 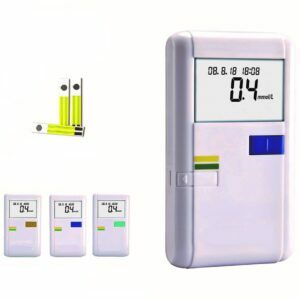 After 30 s, the concentrations (mmol/l) were displayed. -Application of ketone test for pregnant women who are succumbed to severe vomiting. The recovery of D-3-hydroxybutyric acid is 80%-120%. 0.1mmol/L SD at a level of<1.0mmol/L and <7.5% CV at a level of ≥1.0mmol/L. system, whichever period is longer. One Tree Planted is on a mission to reforest our planet and provide education, awareness and engagement on the importance of trees in our ecosystem. It also has a social impact encouraging and giving incentive to low income people to plant Trees in their Area. Reducing carbon footprint : A mature tree absorbs an average of 48 lbs of CO2 per year. We give you the chance to participate and be part of this nobel project. We plant Trees for you for each product you purchase from SIFSOF. 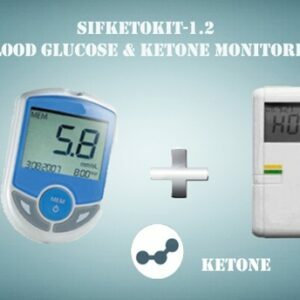 SIFKETOKIT-1.2 For Ketogenic Diet 3 in 1 ketone, Glucose and Cholesterol.